We realize that there are no two gas meters the same. That's why we have multiple sizes and models to best suit your site-specific needs. We manufacture our products here in the USA out of the toughest rust-proof materials so that you can guarantee your DGS Meter Cover will last for years to come!! The DGS-2B is by far our best-selling Gas Utility Meter Cover. 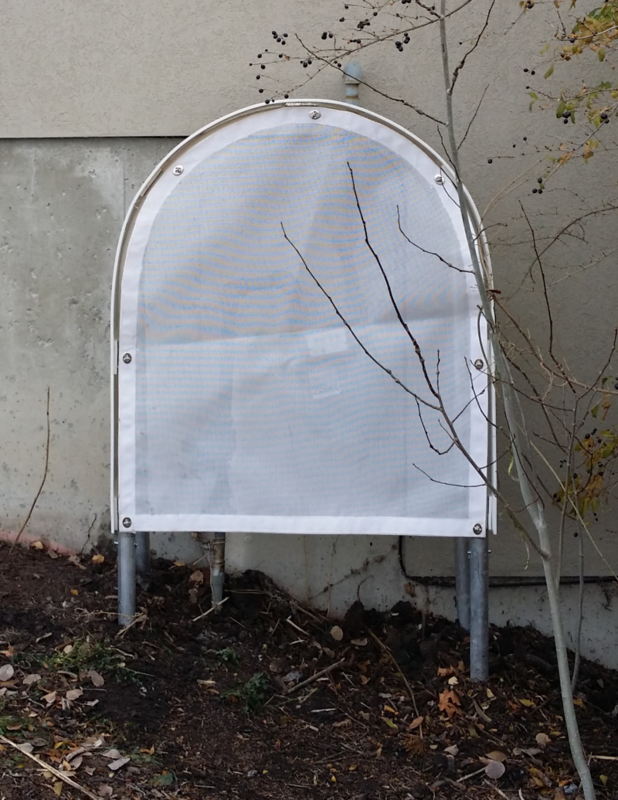 It is a free-standing Cover made of Aluminum & HDPE components as well as zinc-coated fasteners. 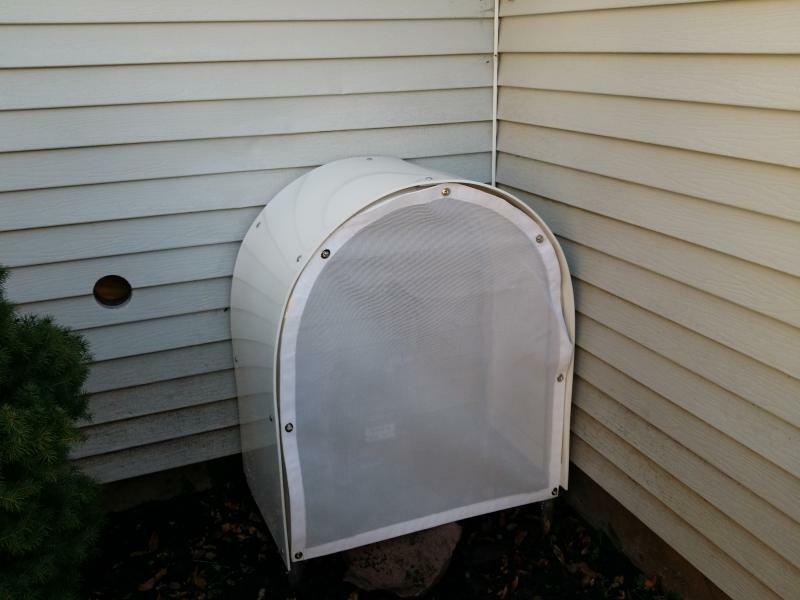 It also has a high strength net that covers the front and serves the purpose of frontal burial protection and impact, as well as providing a means of venting for the Gas Utility Meter. The DGS-2B covers an area of approximately 32"W x 20"D x 48"H (When buried into a concrete anchor). Accessories are available for this device for all sorts of elevations and terrains where modification is necessary. Our accessories provide the installer with versatility when placing the DGS Meter Cover over the Gas Meter. We realize that there are certain terrains that don't allow for level ground, which is where our leg extensions come into play. They give you the option to extend any leg to provide a good anchor at all four points for maximun effectiveness and protection. Here is an example of an install with leg extensions. Another accessory that we provide allows for Gas Utility Meters that are installed on concrete or asphault. Our DGS Footing Kit allows you to anchor the legs onto concrete using nothing other than a sedge anchor. 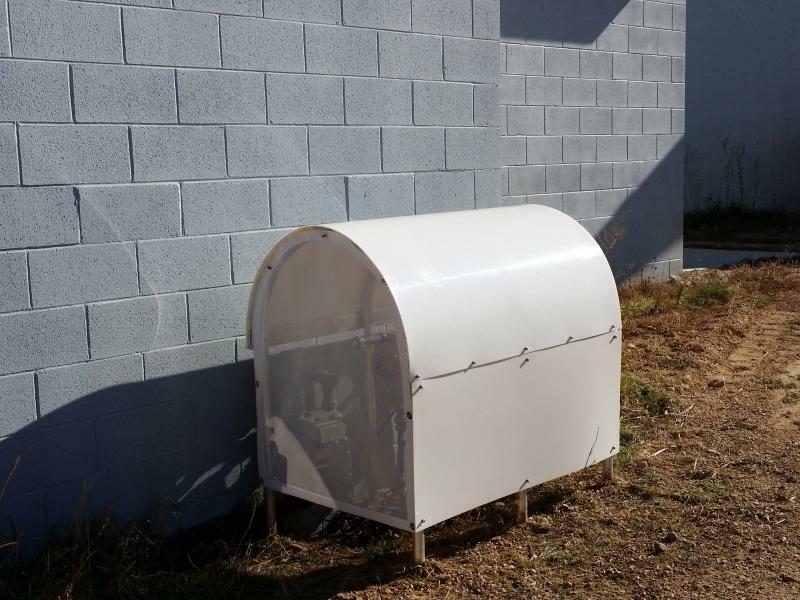 This makes for a clean install and guarantees that your DGS Utility Meter Cover will protect your Gas Meter from any type of impact, snow or not! Our DGS-MS was invented with our famous arch-shaped design in mind, but with a slight stretch to it. This allows our protection area to expand from 48" wide all the way to 72"! Most of these are custom-made for the Utility Meter that it covers so sizes may vary by site. MADE IN THE USA. PATENTED.